free dining 2014 | Eat.Breathe.Sleep.Magic. Walt Disney World has announced it’s annual Disney Free Dining! Please note that in order to qualify for the free dining offer, your must check in during one of the available dates above. Your stay can extend into one of the black out periods and you will still receive the free dining for your entire stay. Availability is extremely limited, and not all resorts may be available. Guests staying at a Walt Disney World value resort will receive the Quick Service Dining Planfor free. Guests will be able to upgrade to either the Disney Dining plan or the Deluxe Disney Dining plan by paying the price difference. To upgrade to the Disney Dining Plan, the increased cost will be $19.86 per adult per night of your stay, and $3.41 per child. Guests staying at a Disney World Moderate, Deluxe or Deluxe Disney Villa resort will receive the Disney Dining Plan included for free. Disney World guests at moderate, deluxe and villa resorts will also be able to book the “Free Dining”, and upgrade to the Disney Deluxe Dining for the normal price difference. Availability is extremely limited, and must be booked by August 8, 2014. It appears that all suites, campsites and 3 bedroom villas have been excluded from this offer, as are the Little Mermaid rooms at the new Art of Animation Resort, Port Orleans French Quarter, Port Orleans Riverside, All-Star Movies and the new Villas at the Grand Floridian Resort. Three night minimum stay required, and a maximum stay of 14 nights is allowed per reservation. You must also purchase a minimum 2 day basic park pass per person per reservation to qualify. Please note, Walt Disney World has also announced a room only discount for August 16 – October 3 travel dates only. For most people, the free dining will be a better deal, as you cannot combine the two deals. I’m happy to check both offers for you to be sure, though! Thinking about a trip to Disney World? I’d love to help! 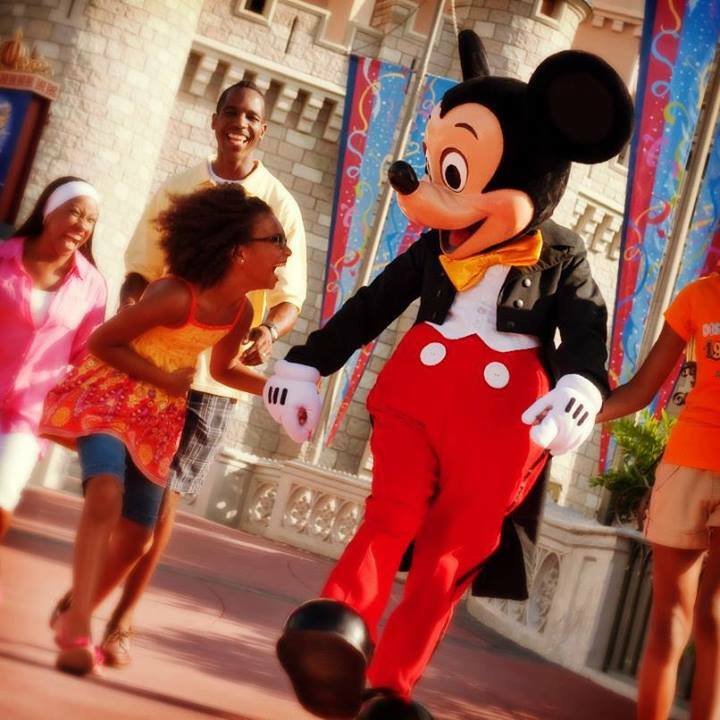 As a travel specialist working for an authorized Disney travel agency, my services are completely free to you! Disney pays my commission directly, which means that you can take advantage of my planning and advice absolutely free of charge! If you have questions or want to chat more about this, you can email me anytime! 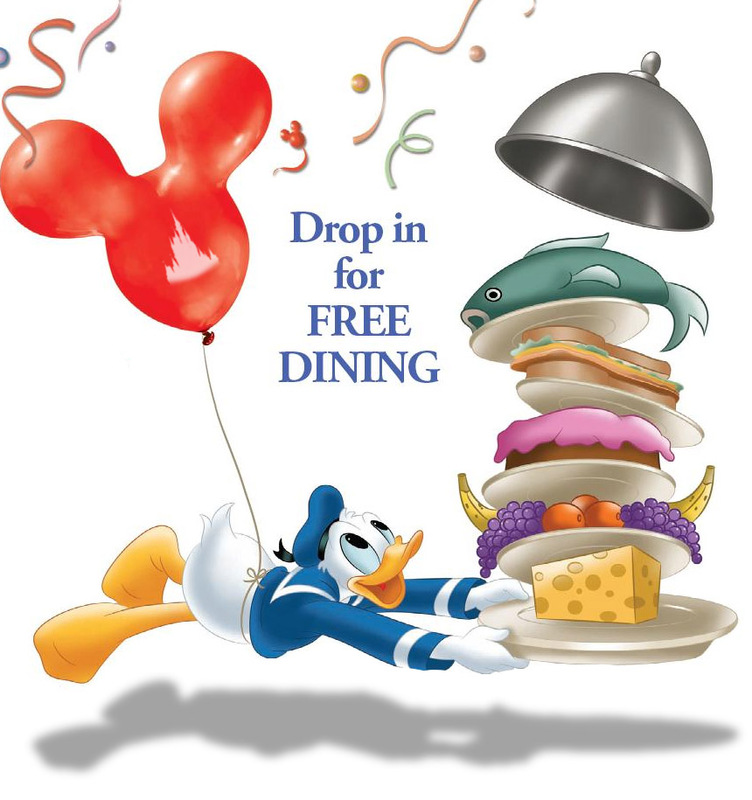 Disney Free Dining for Fall 2014 is HERE! It’s official – we have a free dining discount for a large part of Fall 2014!! Walt Disney World has announced it’s annual Disney Free Dining! Currently for Disney VISA cardholders only, and only for the travel dates above. Please note that in order to qualify for the free dining offer, your must check in during one of the available dates above. Your stay can extend into one of the black out periods and you will still receive the free dining for your entire stay. Availability is extremely limited, and not all resorts may be available. Availability is extremely limited, and must be booked by August 3, 2014. It appears that all suites, campsites and 3 bedroom villas have been excluded from this offer, as are the Little Mermaid rooms at the new Art of Animation Resort, Port Orleans French Quarter, Port Orleans Riverside, All-Star Movies and the new Villas at the Grand Floridian Resort. All other Disney resorts, including value resorts are included in the offer. Three night minimum stay required, and a maximum stay of 14 nights is allowed per reservation. You must also purchase a minimum 2 day basic park pass per person per reservation to qualify. Please note this offer is currently only available to Disney VISA cardholders. A $200 deposit per room must be paid with your Disney VISA at the time of booking. This identical offer will be made available for all guests starting on May 7, 2014, without the Disney VISA requirement. Please note, Walt Disney World has also announced a room only discount, also for Disney VISA cardholders for August 16 – October 3 travel dates only. For most people, the free dining will be a better deal, as you cannot combine the two deals. Word on the Disney street is that Free dining will release tomorrow (May 2) for Disney Visa Cardholders and then Wednesday (May 7th) to the general public. The promotion will include quick service for value resorts and the regular dining plan for moderate and deluxe resorts. Keep in mind though that if you stay in a value, you can still upgrade to the regular dining plan. This can be upgraded to regular plan for $18.65 per person per day, after tax ($3.20 for children). Some resorts are excluded, such as All Star Movies, Art of Animation Little Mermaid Rooms, Port Orleans Resort (Riverside and French Quarter), Campsites at Ft. Wilderness, and 3-bedroom villas, and Villas at The Grand Floridian. A 3 night minimum stay (14 night maximum) and two day minimum park ticket is required for each person in the party. Keep in mind, this is still unconfirmed. We should have confirmation on May 2nd if this rumor is true. RUMOR: September 2014 Disney Free Dining?? This post will be short & sweet, since there are no details yet, but I wanted to pass on that there are rumors about free dining being released in the next several weeks for September 2014 travel dates. These rumors are the first I’ve seen all year for free dining, so this makes me hopeful we’ll see it soon! Disney released a sneak attack discount today for early 2014 – it was released without much hype or hoopla. I was kind of surprised to see this discount – and I feel like it makes our chances of seeing Free Dining for early 2014 pretty slim. Walt Disney World has released a new discount today, this Intro to Disney offer. There are currently two offers available for similar dates, the Play, Stay, Dine and Save offer and the Winter Room offer. No group rates or other discounts apply. Advance reservations required. Offer excludes campsites, 3-bedroom villas, Disney’s Art of Animation Resort and The Villas at Disney’s Grand Floridian Resort & Spa. Excludes alcoholic beverages and gratuities. Children ages 3-9 must choose from the children’s menu, if available. Some table-service restaurants may have limited or no availability at time of package purchase. This discount excludes the Little Mermaid rooms or Family Suites at Art of Animation, Villas at the Grand Floridian, 3 bedroom villas, suites and the campsites at Disney’s Fort Wilderness. This offer must be booked by December 31, 2013. Not all nights or resorts may be available. At this point, it does not appear that any nights have been blacked out, but many nights around the Walt Disney World Marathon and President’s Day Weekend may be difficult to find. Availability is extremely limited, act quickly for best availability. Please note that you must check in by March 5, 2014 in order to qualify for the discount. If you check in March 5 or earlier, you should receive the discount for your entire stay, based on availability. As a travel specialist working for an authorized Disney travel agency, my services are completely free to you! Disney pays my commission directly, which means that you can take advantage of my planning and advice absolutely free of charge! If you have questions or want to chat more about this, you can email me anytime!